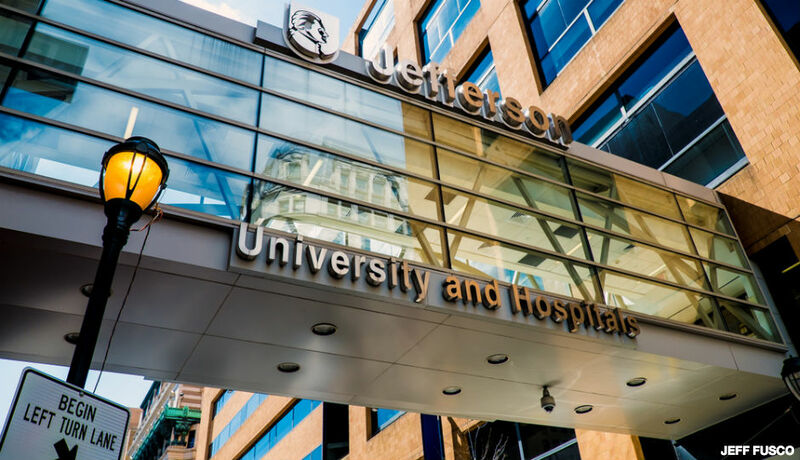 Stephen Klasko, MD, president of Thomas Jefferson University and CEO of Jefferson Health, signed another five-year contract with the Philadelphia-based health system, a spokesperson told Becker’s Hospital Review March 20. 1. Dr. Klasko, who began leading the health system in 2013, will serve as president of Thomas Jefferson University and CEO of Jefferson Health through 2024. 2. Under Dr. Klasko, Jefferson has grown from three to 14 hospitals. Jefferson’s growth has largely taken place by merging boards across regions. The system has pending deals with Philadelphia-based Einstein Healthcare Network and Temple University’s Fox Chase Cancer Center, also in Philadelphia. 3. At the same time, Jefferson Health has gone from a $1.5 billion system to a more than $5 billion system, generating more than $100 million in savings and efficiencies. 4. New philanthropic initiatives led to the Sidney Kimmel Foundation in Philadelphia donating $110 million to Jefferson Medical College in 2014, representing the largest gift in its history. The college was renamed the Sidney Kimmel Medical College that same year. 5. Under Dr. Klasko’s leadership, Thomas Jefferson University now hosts design curriculum for medical students and operates the No. 3 fashion school in the country.